All over the country, people have been getting calls from the U.S. Health and Human Services Office of the Inspector General (OIG), but they’re actually scam calls that just look like they’re from the OIG. Although the scam has reached thousands, the OIG is working to control the damage by raising awareness and offering tips for keeping personal information safe. With this scam, people receive a call that appears to be from an OIG staff person who is calling to notify them that they have won a grant of $9,000 from the U.S. government. To get the grant, they must wire $250 or give the authorization code for a $250 iTunes gift card. The caller also asks for personal information, such as the person’s name, address, Social Security number and bank information. First, the bad news: thousands of these calls were made to people across the U.S., according to Thomas O’Donnell, Assistant Inspector General for Investigations at HHS. But there’s good news, too. Only a small number of people believed the scammers and sent money or divulged personal information. Also, an OIG check of its own data to see if it had been hacked by the scammers, has confirmed that it has not been compromised. The other good news? Two people are under investigation and a criminal case is in process. The OIG does not make unsolicited calls to the public. In addition, federal grants are not usually given to individual citizens – and definitely are never sold. However, the calls looked legitimate because the scammers managed to spoof the OIG hotline phone number for reporting fraud —1-800-HHS-TIPS (1-800-447-8477). Spoofing is when someone makes a phone call look to you like it’s coming from a different phone number on caller ID. With the OIG scam, the scammers made their calls look like they were coming from the OIG fraud hotline. When people are asked for sensitive information, they rightfully question whether the person asking the question has a right to the information. With spoofing, scammers can make it look like the request is coming from a trusted, legitimate source. To make matters worse, when the call appears to be from the federal government, people can get nervous and rush to do whatever is asked. Remember that the federal government does not make unsolicited calls. Be aware that the federal government will not call to offer cash awards or collect any money from you. Do not give your personal information, especially your date of birth, Social Security number, mother’s maiden name, bank information or credit card number, to any caller you don’t know. Don’t be fooled if the caller has some of your personal information already – that doesn’t mean the caller should have that information or that the call is legitimate. If you want to confirm, you can hang up, find the correct phone number for that office, and call them yourself to ask if the call was legitimate. Work with your organization’s human resources to notify employees through the organization’s communication channels, like the intranet or email. Talk with the communications department about how to get the word out to customers, members, patients and families, so they can build their scam resistance. Reach out to your business partners and contractors to notify them about the scam. The OIG spoofing scam was not the first scam and it won’t be the last. Those of us who work to keep information secure and prevent unlawful practices in the health industry are trusted advisors to the public. 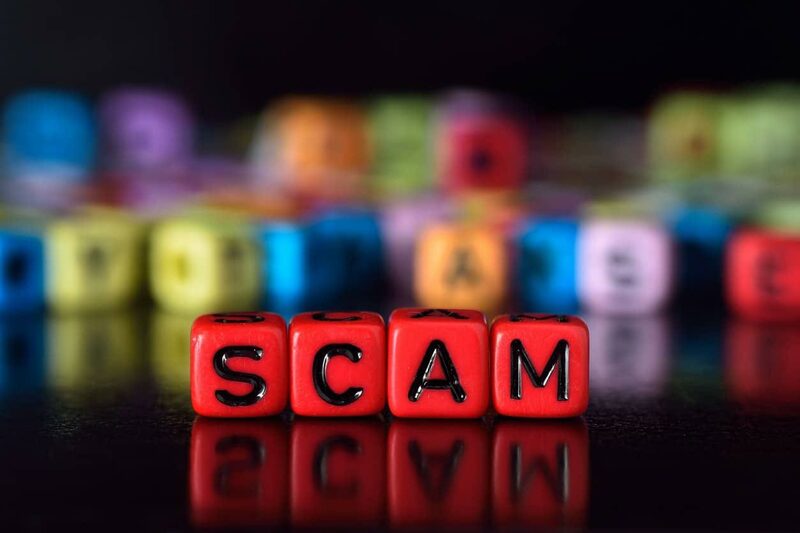 By raising awareness about scams and sharing tips for how to avoid getting scammed, we are in a good position to help others do their part to keep private information out of the wrong hands and help the HHS save their resources for things like updating the OIG exclusion list.